At RainSoft, water testing is a service that we provide to all prospective customers in the Chicago, Illinois, area, free of charge. Having a knowledgeable company like RainSoft test your water for impurities is a crucial first step on the path to better water quality. Our complimentary home water testing service will allow us to professionally analyze your water’s composition, then provide recommendations on ways to remediate any water-quality problems you are experiencing. In addition to water testing, we can also inspect your plumbing, fixtures, and water-using appliances – anything that can potentially shed light on the quality of the water your family uses. 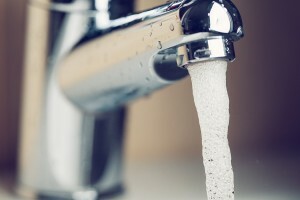 Water softener – Our water softeners use a process called ion exchange to remove dissolved calcium and magnesium, which are the two primary causes of water hardness. The resulting soft water will be easier on your plumbing, prevent soap scum from accumulating on bathroom surfaces, leave skin and hair feeling cleaner after showering and bathing, and extend the lifespan of water-using appliances. Drinking water system – Our complimentary water testing service might reveal impurities in the water that your family uses for drinking and preparing meals. To remedy that, we offer two state-of-the-art drinking water purification systems that provide bottle-quality water right from your kitchen faucet. Whole-house filtration system – We offer a variety of problem-solving filters that are designed to remove specific impurities that sometimes exist in local water supplies, such as iron, sulfur, and chlorine. Contact your local authorized RainSoft dealer in Chicago, IL, today to learn more about how our complimentary in-home water testing service works, and to schedule an appointment with a trained RainSoft technician. Since 1953, we have been taking the worry out of water for families throughout North America and around the world.